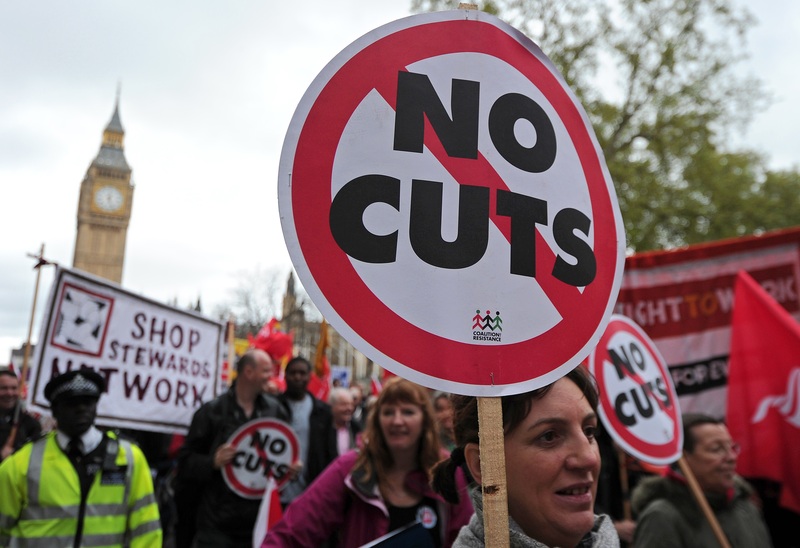 Striking public sector workers march in protest through central London, on May 10, 2012. Hundreds of thousands of British public sector workers were set to strike over pensions Thursday and police were due to protest against Prime Minister David Cameron’s austerity measures. With a majority Conservative government in Westminster, might Britain see a general strike as austerity bites down harder? My article.